Once in a while, a blue moon hits and you have a rough day. Maybe the phone was constantly ringing. Perhaps paperwork was piling up. Or, possibly the office meetings were endless. Upon returning home, you’ll look forward to an element of escape. 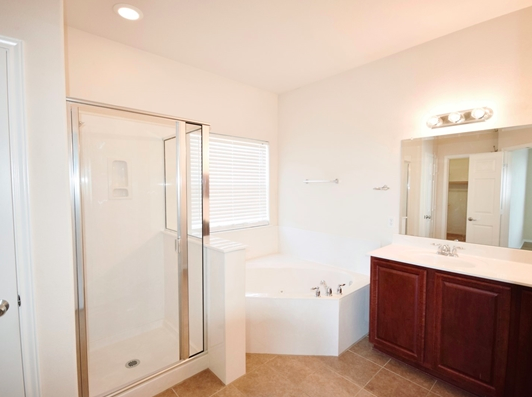 Slipping away from the world, you can finally unwind in the comfort of a Jacuzzi tub or steam shower while lingering in your decadent master bath. As this scenario describes, even in the midst of this military life, the glamorous dream of living with luxuries can be a reality. 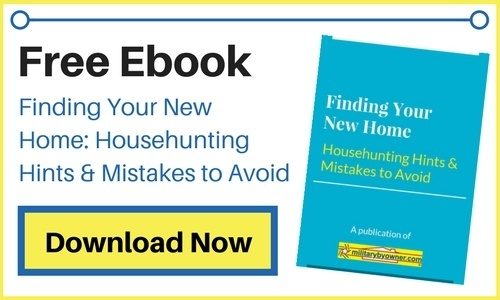 Follow along as we cross the country in search of MilitaryByOwner homes for sale with magnificent master suites. Around 15 miles from Eglin Air Force Base, you’ll find a little slice of paradise in the Florida panhandle. Tucked in the desirable neighborhood of Indian Trail, it’s easy to access all sorts of Destin amenities from this alluring address. The moment you step inside the home, you’ll notice pleasing natural light flows throughout this 4-bedroom, 3½-bath open layout chateau. Boasting over 3,300 square feet, this expansive house includes an oversized master suite with private access to a secluded lanai. The comely combination of the recessed ceiling and crisp white crown molding adds an element of modern design to the bedroom. The clean lines and soft colors continue into the lavish master bath. Sets of quintuple lighting roost above wood trimmed mirrors. 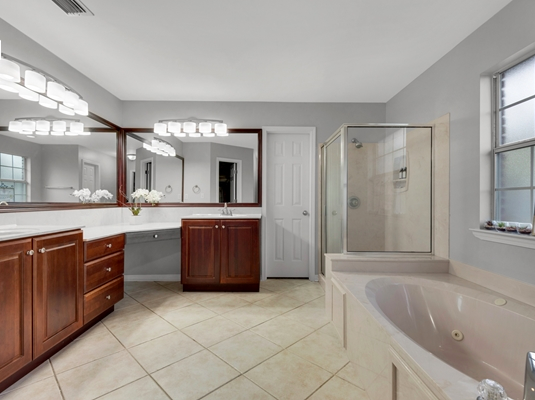 Snow white counters add swank to the double sinks and vanity. Brandywine maple cabinetry offers abundant storage for linens, toiletries,and cosmetics. A jetted bathtub and nearby shower create a spa-like atmosphere. You’ll feel like royalty with the regal touches included in this Master Suite. 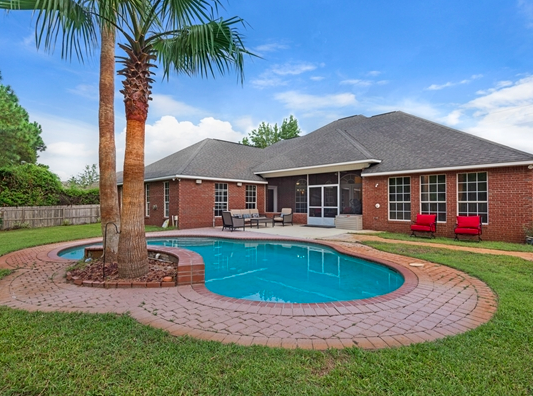 Bonus: The Master Suite overlooks a sparkling pool in the private, fenced backyard! A fresh breeze from the back yard brings in the fragrance of blooming flowers. From posies to palms, lush landscaping surrounds this villa. It’ll seem like you’re on a get-away vacation with this move-in ready Florida home! Classic red brick, sunbaked ivory sandstone, soaring archways: these three charismatic details blend together at this captivating Texas residence. 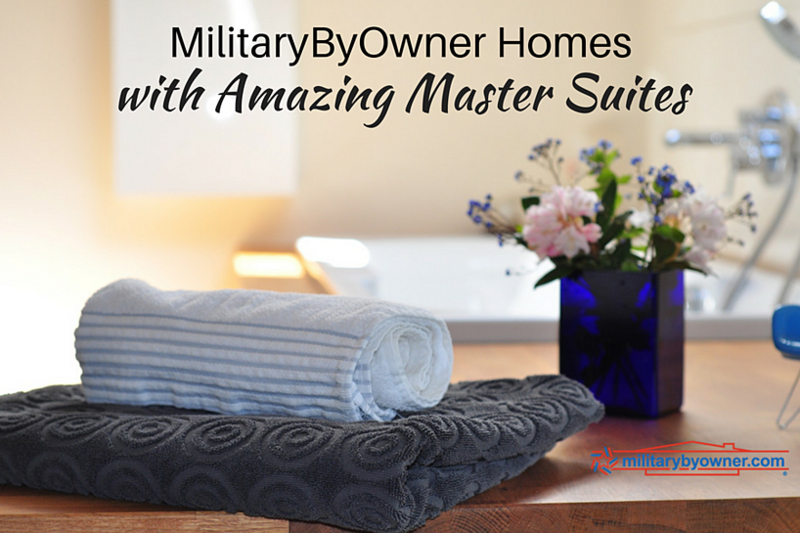 With 3,064 square feet of living space, every member of your military family will have plenty of room to settle in and unpack in this attractive abode. Nestled midst the military-friendly community of Harker Heights, you’ll soon be hanging out with the neighbors at a backyard barbecue and planning play dates for the kiddos. When shopping for homes in the Bluebonnet state, you’ll notice that many have the master suite on the main floor. Meanwhile, upstairs you’ll find a loft and additional bedrooms. 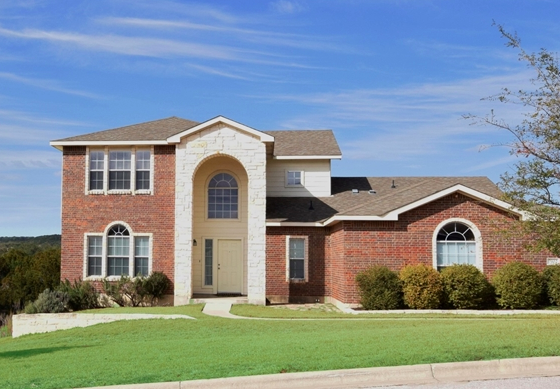 Ideal for a busy military family, this 4-bedroom 2½-bath manor fits the popular Texas home style. On a similar note, while designing the master suite, it’s clear to see plans were made for an enchanting escape. Sky-high ceilings add hypnotizing height. Cheerful windows bring natural light. Easy-care faux wood flooring draws you from the bedroom to the premium tile of the master bath, where you’ll discover glam Hollywood lighting shines above an over sized mirror. An ivory counter top graces twin sinks atop cherry wood cabinetry. Tucked in the corner by the trim shower, the bubbles of the jetted bathtub will soak all your cares away. This indulgent powder room will have you feeling properly pampered. Bonus: The spacious backyard offers a serene vista of Dana Peak Park and Stillhouse Hollow Lake. 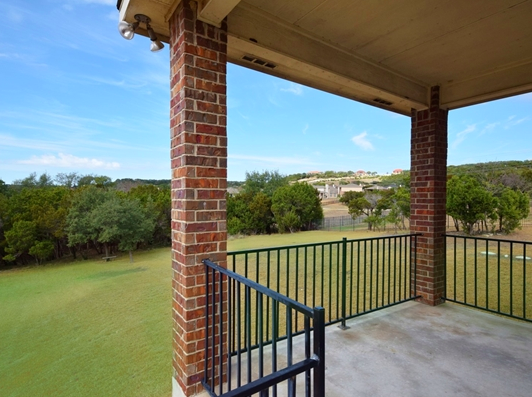 When looking for a home near Fort Hood, Texas, it’s worth exploring the neighborhoods off-post, such as The Ridge in Harker Heights. Properties on the Southeastern side of town offer easy access to green space with hiking and biking trails around the nearby park and lake. The large lot of this lovely Lone Star listing offers unlimited opportunities to enjoy the great outdoors! Winding through the woods of Washington State, the tall firs and deep forest create an alcove of privacy, peace, and rest. 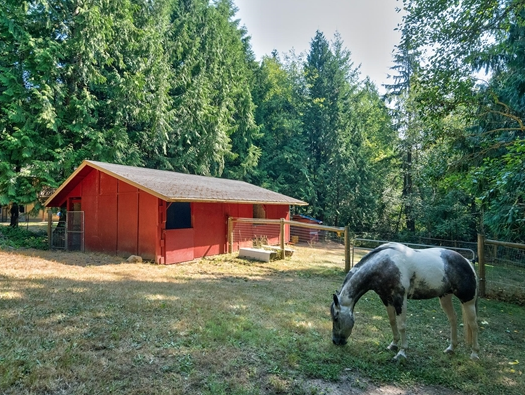 If hunting for a house near Joint Base Lewis-McChord, take a peek at this 2½-acre, horse-friendly property. 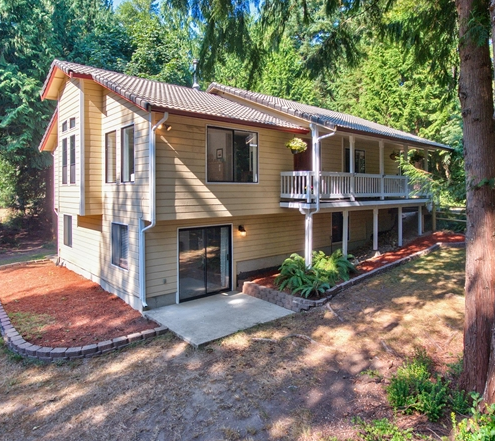 Arriving at this rural Bremerton roost, you’ll be greeted by the sunny disposition of the spacious 3-bedroom, 2-bath, 2,400-square-foot villa. Craftsman trim windows open to forest views, giving the master suite a feeling of nesting in the treetops. Glossy ash wood plank flooring flows from the bedroom into the en suite bath. 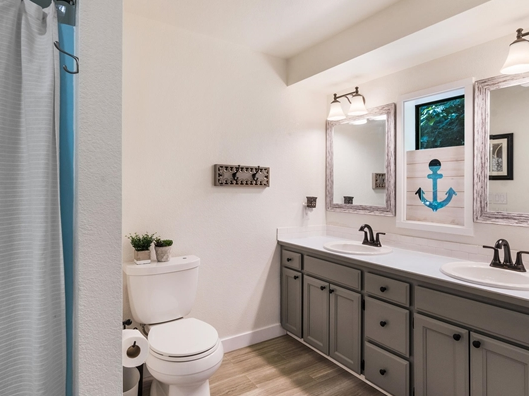 Soothing gray and tranquil turquoise accent the pristine white of the lavatory. A designer window welcomes natural light, while double sconce lighting brightens each barn wood edged mirror. The ample cabinet storage of the alabaster double sink vanity makes practical use of space in this wondrous washroom. After a lengthy hike or long horseback ride, returning to this remarkable master bath will give you time to refresh and relax. Bonus: The woodsy equestrian property includes stable, tack room, and fenced pasture. When making a military move with the precious cargo of your favorite filly, you’ll hope for a place that is move-in ready. This alluring acreage offers horse-friendly amenities for your noble steed. With this unique estate, you can embrace a laid-back pace of life and make the most of your JBLM assignment! 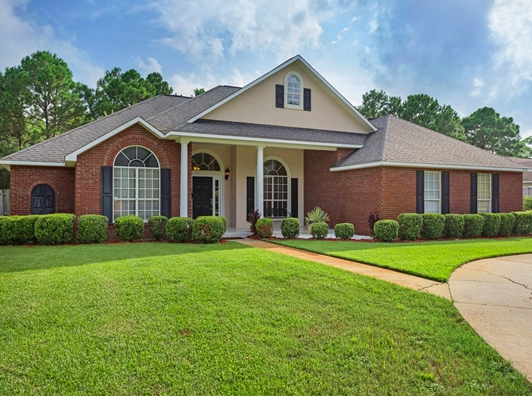 A tour of these three grand homes at three different military installations highlights the wide selection of properties available on MilitaryByOwner. When shopping for a home, consider the benefits of having a relaxing retreat. May you find a dwelling with sensational spa-like features and the solitude of a peaceful backyard.